UND Student Ambassadors (SAs) is an organization sponsored by the UND Alumni Association & Foundation and the University of North Dakota. 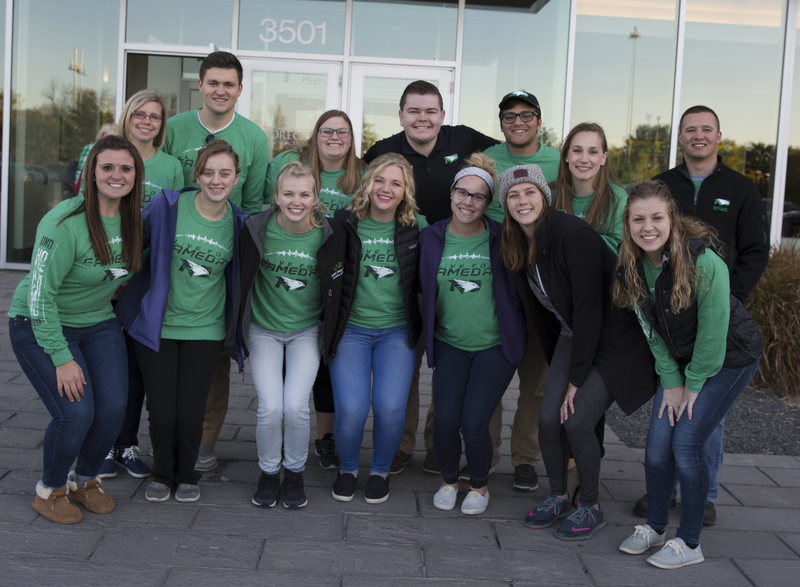 The SAs' role on campus is to promote UND and develop positive relations and interactions among students, alumni, faculty and staff through a variety of activities and events. The SAs are involved with events throughout the year such as Welcome Weekend, Homecoming, Parent’s Weekend, open houses, and others. The SAs are a group of 80+ diverse students with a variety of interest, majors & backgrounds. The Executive Board builds strong student & alumni relationships through a variety of University and Alumni Association & Foundation activities. The Executive Board is responsible for planning, marketing, and volunteering for Welcome Weekend, Homecoming, Parent’s Weekend, open houses and other campus events.